Maria Elena Blackmon is a world language instructor whom specialized in Spanish. She was born in Lima, Peru and arrived in the United States in 1988. She obtained a B.A. in Foreign Language Education and a M.A. from the University of Oklahoma. She taught several years at the University of Oklahoma as a teaching assistant while pursuing her Master of Arts degree and working towards her Ph.D. However, she decided to stop working in her doctorate and join the teaching force because she felt that teaching and not researching was her calling. In 2002, her family decided to move to Springfield, Missouri and she became the first and only full-time Spanish instructor at OTC. 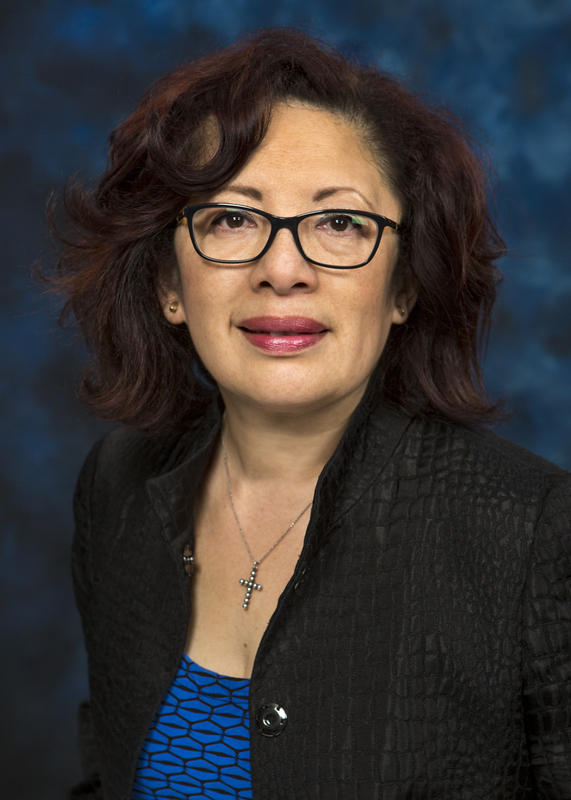 In 2006, Maria Elena Blackmon became the advisor of “El Club de Español,” through all these years the Club has sponsored several cultural events; such as, two art exhibits, Mariachi band presentations, and several charitable events to help local and international organizations aid those in need. Maria Elena Blackmon’s main goal of teaching Spanish is to help students be more culturally competent, love to learn the Spanish language, and become proficient in the language. Maria Elena Blackmon usually takes Zumba classes and listens to the latest Latin music in her free time. If she is not dancing or listening to music, she is playing with her Maltese dog named Bambino.